BEIJING -- China said Monday it was on track to launch a fifth lunar probe with the aim of bringing back lunar soil and rock samples following the successful moon landing of a space probe. The new mission planned for 2017 would mark the third and final phase of China's robotic lunar exploration program and pave the way for possibly landing an astronaut on the moon after 2020. 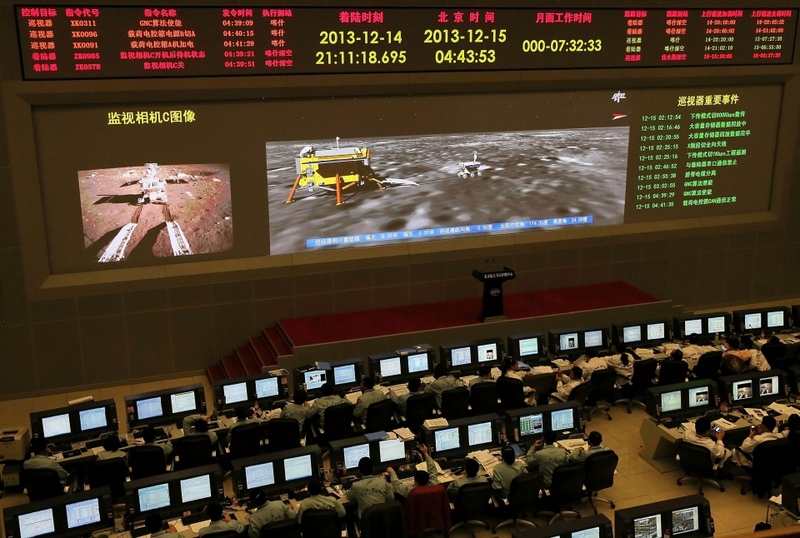 On Saturday, Chang'e 3 set down on the moon, marking the first soft landing of a space probe on the lunar surface in 37 years. The landing vehicle will conduct scientific research for a year and its accompanying rover will survey the moon's structure and probe for natural resources. A challenge for both is to withstand temperatures ranging from 120 degrees Celsius to minus 180 C, said Wu Zhijian, spokesman for the State Administration of Science, Technology and Industry for National Defence. Chang'e 4 is intended to be an improved version of the Chang'e 3 that will pave the way for the fifth probe. First explored by the former Soviet Union and the United States in the 1960s and 70s, the moon has become the subject of renewed interest, even as the focus shifts to Mars exploration. The U.S. Lunar Reconnaissance Orbiter is currently circling the moon to detail its features and resources as a prelude to building a lunar outpost. In 2009, India's lunar orbiter, the Chandrayaan-1, detected water on the moon. Two years earlier, Japan sent a spacecraft to orbit it. "People have started saying we're looking for water and we're looking for minerals and it's becoming a much more interesting place to go to," said Peter Bond, consultant editor for Jane's Space Systems and Industry. "Especially for new countries like China and India who are testing out new technologies -- it's an ideal place to practice these before they go to Mars and beyond." 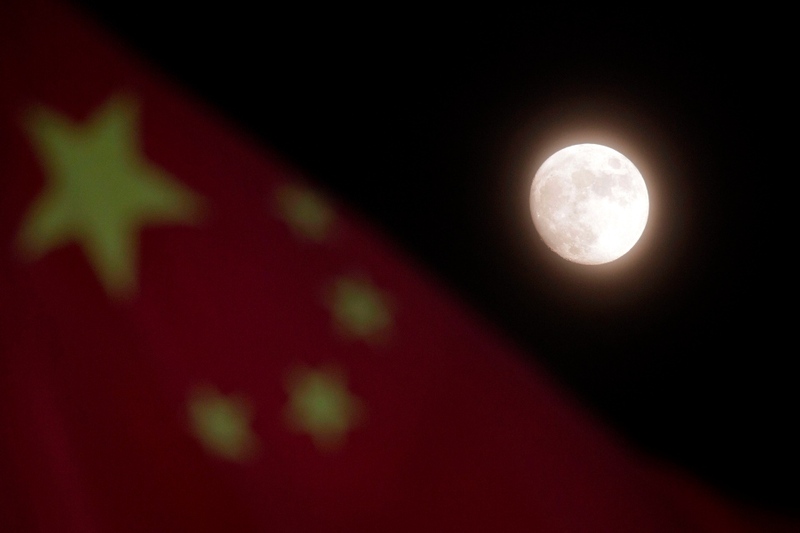 China says its moon exploration program is about gaining a scientific understanding of the moon and developing space engineering and other technologies to prepare it for deep space exploration in the future. It is also a source of national pride. 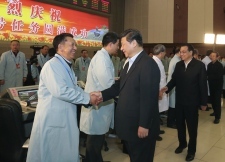 President Xi Jinping and Premier Li Keqiang were at the Beijing Aerospace Control Center to hear lunar program chief commander Ma Xingrui declare the Chang'e 3 mission a success, the official Xinhua News agency reported. 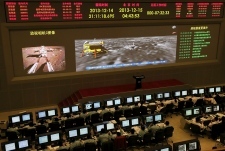 "China's moon probe is a way to exhibit to the world that we have acquired advanced space technology, which is more sophisticated than nuclear technology, and it is also a way to win international recognition as a big power," said He Qisong, a space expert at the Shanghai University of Political Science and Law. He said that finding and developing mineral resources on the moon could help solve future problems on Earth. China sent its first astronaut into space in 2003, becoming the third nation after Russia and the United States to achieve manned space travel independently. It launched the Tiangong 1 prototype space station in 2011 and plans to replace it with a larger permanent station seven years from now. The space program's close military links have raised questions about its ultimate intentions and dissuaded other countries from co-operating too closely with it. In 2007, the military shot down a defunct weather satellite in an apparent show of force that created a large amount of debris imperiling other spacecraft. 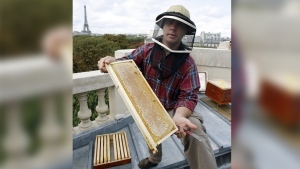 Associated Press researcher Yu Bing and news assistant Zhao Liang contributed to this report.